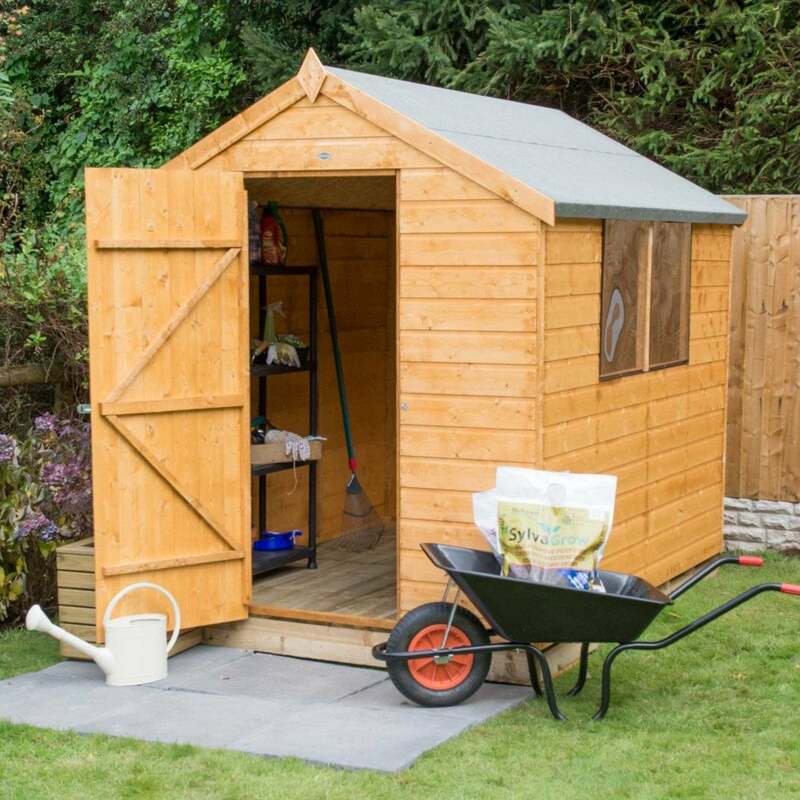 Forest Garden 6 x 8 Shiplap Dip Treated Pent Shed: This Forest Garden shiplap dip treated shed will fit neatly into the garden and provide you with excellent storage space for a range of tools, equipment and furniture. This shed is dip treated in the factory to provide it with a base treatment but it will require the application of your own timber preservative on a periodic basis. The construction of this shed is tongue and groove shiplap panels which fit tightly together to keep out the wind and rain, this shed also benefits from a durable pressure treated boarded floor and OSB sheet material roof. As a finishing touch this shed has a smooth planed finial and barge boards to give it a classic appearance along with the apex roof which slopes off both sides from the central ridge. This shed has the added benefit of a single door which has double Z framing for added strength and hidden hinges for added security, the two windows have polycarbonate glazing which will not break or go brittle over time. This wooden shed is delivered in sections which are easy to handle and easy to put together.